Note: CFL jerseys are customized with double colour vinyl heat press numbers and single colour vinyl heat press letters for the name. It includes front and back numbers as well as shoulder numbers. This customizing may not be exact as to what is worn on the field. 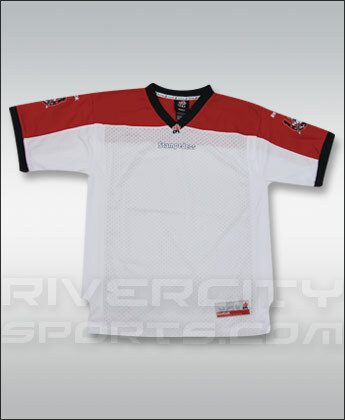 #18FUSCAL Premier Youth Jerseys have 100% polyester mesh body redesigned for an improved fit and feel. Features printed team logo on chest and 'W' logo on sleeves.